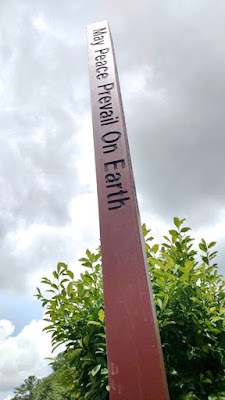 With clearing skies and the rain ending, the Cherokee County Peace Pole was formally unveiled in Canton Rotary Park on May 31. 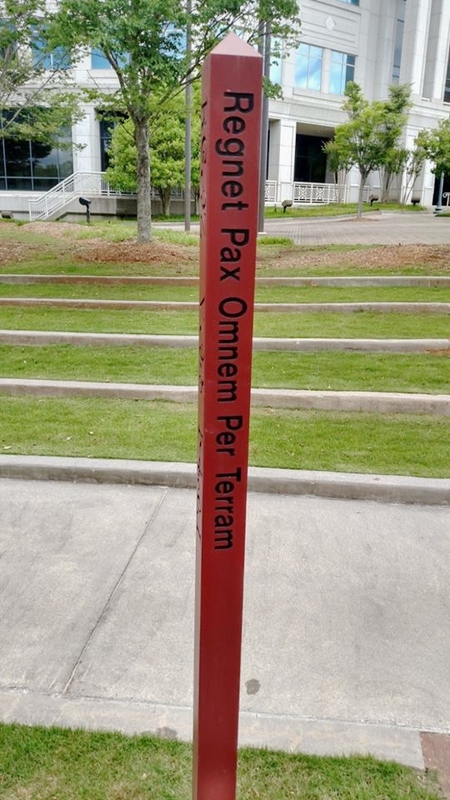 Having been formally dedicated at a Canton Rotary Club indoor program celebrating the 80th Anniversary of the chartering of the Canton club the day before, President Matthew Thomas and President Elect Lynn Epps unwrapped the tarp concealing the Peace Pole. 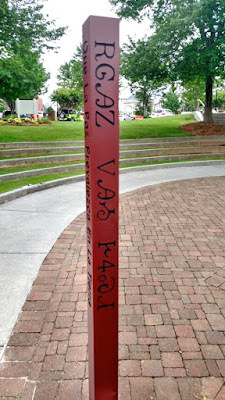 The four-sided pole, which joins 185,000 peace poles in over 100 countries worldwide, expresses the message of peace -- "May Peace Prevail on Earth" -- in English, Spanish, Cherokee, and Latin. 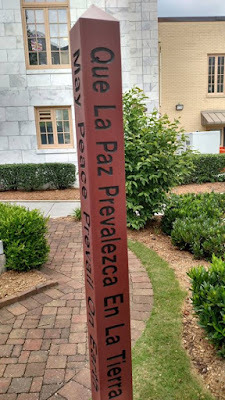 The Spanish reflects the native language of the Hispanic community in Cherokee County; the Cherokee language was spoken by the Cherokee Nation that once lived here; and the Latin reflects the setting of Canton Rotary Park between the Old and New Courthouses in downtown Canton. 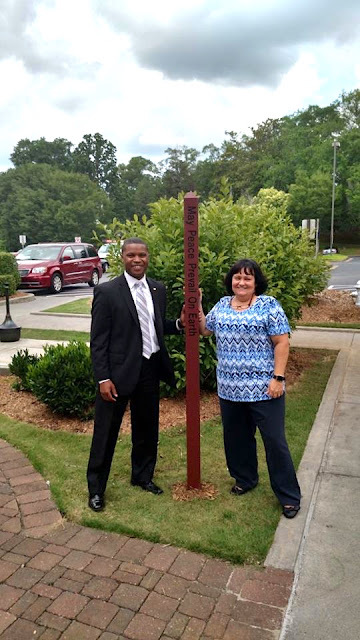 Immediate Past President Matthew Thomas and President Lynn Epps proudly standing with the unveiled Cherokee County Peace Pole in Canton Rotary Park. "May Peace Prevail on Earth" in Spanish to represent the Hispanic population of Cherokee County. A skyward view of the pole to represent the inspirational message of Peace on Earth. "May Peace Prevail on Earth" in Latin to reflect the pole's placement in Canton Rotary Park between the Old and New Courthouses in downtown Canton. "May Peace Prevail on Earth" in Cherokee to reflect the Cherokee Nation that once lived here.